It's a rare day when you see eight state employees go before a judge within hours of one another. All stand accused of abusing a patient in Connecticut's maximum security psychiatric hospital. The NBC Connecticut Troubleshooters broke this story about the alleged abuse back in April. 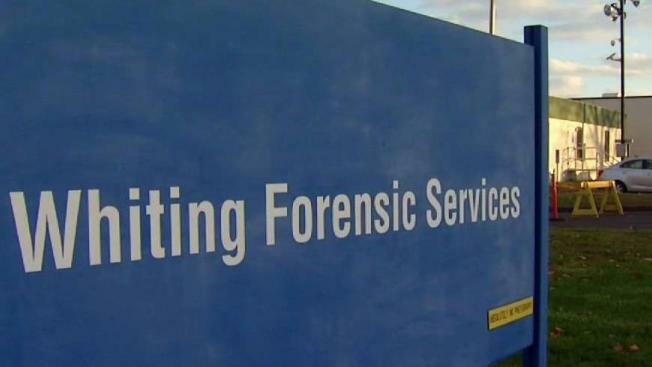 The eight Whiting Forensic Division staffers arraigned Thursday, and one on Wednesday, were all arrested this week by Connecticut State Police, who said more arrests may come. They include forensic nurse Mark Cusson, and mental health workers Willie Bethea, Lance Camby, Seth Quider, Bruce Holt, Clayton Davis, Robert Larned, Carl Benjamin, and Greg Giantonio. One of nine staffers charged ran off from the court in a full sprint. We tried talking with the suspects' attorneys after they faced a judge and few commented. Cusson attorney Brian Woolf cautions about a rush to judgement, “We're just beginning the process. I'd like everyone to remember there's two sides to a story, and then there's the truth." The Whiting staffers are accused of taking part in the repeated abuse, some captured on video, of a 59-year-old patient. The patient's co-conservator Karen Kangas saw some of the month's worth of recordings, “They put a diaper, a diaper that had been used, that had some stuff in it, and they put it over his head." There are 31 employees on administrative leave in connection with this case. The state agency overseeing Whiting calls the allegations against these employees reprehensible, and says it is working to improve patient care.